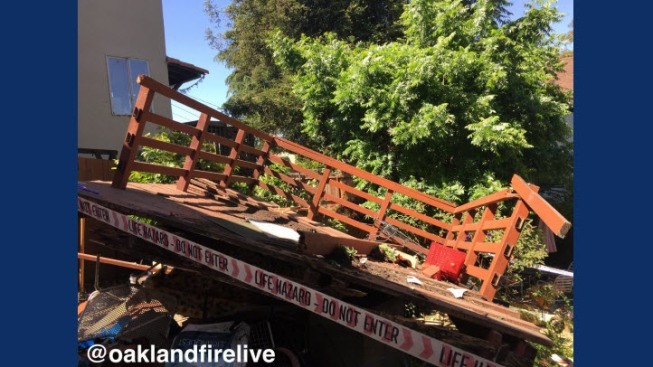 1 Injured Following Deck Collapse in Oakland: Fire Dept. Firefighters are investigating a deck collapse Friday afternoon in Oakland. At least one person was injured in the incident, which occurred just before 2 p.m. on the 3400 block of Morcom Avenue, just south of Interstate 580 and near Mills College.